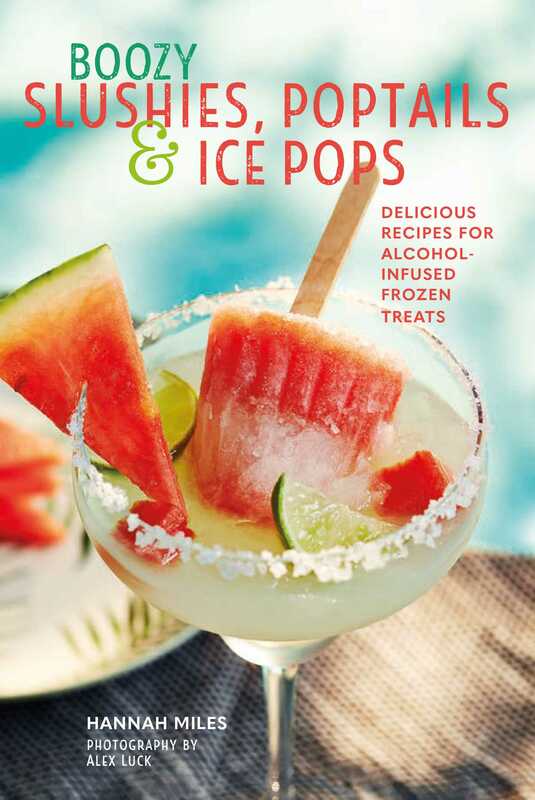 Kickstart a summer of fun with this collection of over 25 recipes for deliciously refreshing frozen cocktails. Happy hour is never far away with an ice box stocked full of these spiked icy treats. Nothing is so satisfying as a chilled fruity ice pop, grabbed and shared round languorously from the icebox on a boiling hot day. The instant cooling gratification that comes with every lick is a simple yet wonderful nostalgic pleasure. Equally as nostalgic are the neon-bright slushies of youth—and the brain-freeze and blue tongue that often came with them. These juvenile treats have clearly not lost their appeal amongst fun-loving adults, and recent trends have seen bartenders and chefs transform these childish ices into something far more sophisticated with a healthy measure of alcohol. It started with the simple frosé (frozen rose) and now even more elaborate poptails and layered ice pops are appearing on every menu du jour. Made with real fruits, juices and alcohol, essentially your favorite cocktails and alcoholic drinks are frozen into the most luxurious of ice pops or slushies. It is remarkably easy to make these tipsy treats at home, and in this book the queen of desserts, Hannah Miles shows you how. A lawyer and MasterChef finalist, Hannah Miles has developed a second career as a cake maker and food writer. She is the author of Popcorn Treats (978-1-84975-200-8), Milkshake Bar (978-1-84975-191-9), Doughnuts (978-1-84975-251-0), Cheesecake (978-1-84975-352-4), Sweetie Pie (978-1-84975-610-5) and Naked Cakes (978-1-84975-599-3) – all published by Ryland Peters & Small. Hannah lives in the UK but is a regular visitor to Brooklyn, NY, where her brother and his young family enjoy discovering new griddle joints to share with her.